With respect to my elders, the average new car buyer is old as hell. A January 2019 study from Hedges and Company showed that over half of new car buyers are 55 or older, and a full 31 percent of those buyers are over the age of 65. And yet, new cars continue to push the boundaries of modern technology. Why? 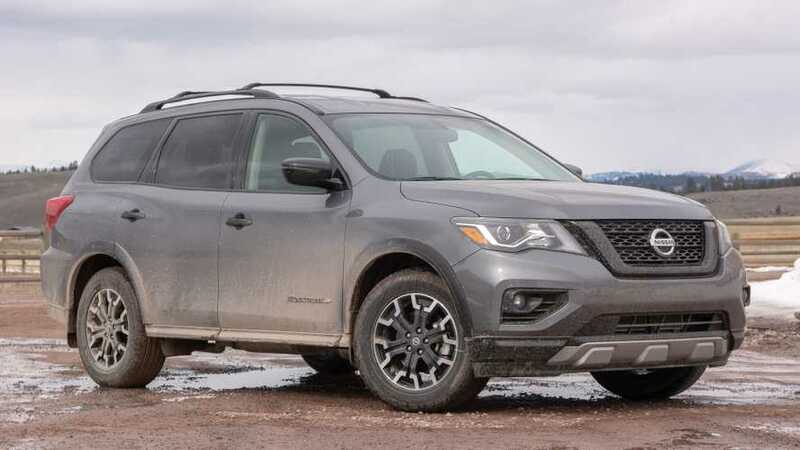 I’m left asking that simple question after a trek through the wilderness of Montana behind the wheel of the 2019 Nissan Pathfinder Rock Creek Edition. For me and my cohorts from the Xennial and Millennial generations, the Pathfinder is old and not very competitive. Its infotainment is simple, its active safety even more so, and buttons litter the dash. But for a big chunk of buyers that can’t manage an iPhone while stationary, let alone a touchscreen while doing 60 miles per hour down a bumpy road, the Pathfinder is a charming holdover from the last generation of three-row crossovers. 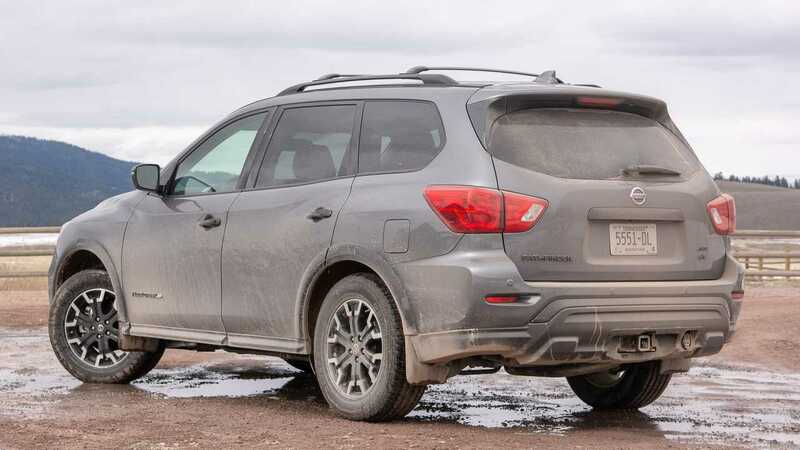 Before I breakdown why that is, it’s worth explaining what the heck the Nissan Pathfinder's Rock Creek Edition is: It’s a styling package, and that’s about it. You’re not getting this $995 option because it comes with comprehensive mechanical changes (it doesn't), but because it has black accents, rugged-looking wheels, and handsome interior upholstery that appeal to your self-appointed identity as an outdoorsman. It’s a nice setup, and it’s not one that pigeonholes customers into specific specs. Available in both SV and SL trims and with the choice of either front- or all-wheel drive, there’s little reason not to tick the Rock Creek box and get its off-road-adjacent looks. But unless you’re a particular sort of customer, there’s not a lot of reason to pick up a Pathfinder in general. The technology inside is functional but extremely outdated in a world of increasingly supersized displays and active driving assistants. Take the screen real estate. 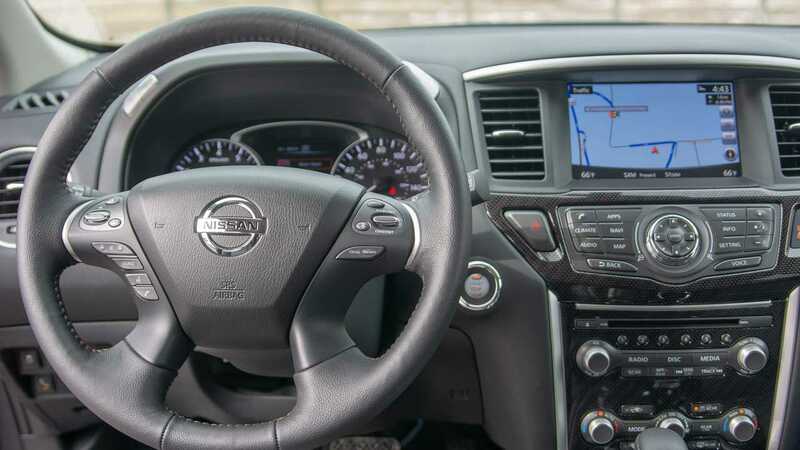 While more automakers are going to an all-glass cockpit with a digital instrument cluster joining the center display, the Pathfinder complements its 8.0-inch center display with a display between the dials that’s so tiny Nissan doesn’t actually list its size in the specs. It shows a limited amount of information in an unattractive way, with the same low-definition graphics as the touchscreen infotainment system. If the rest of the world is on Playstation 4, the Pathfinder is still on Playstation 2. Below the center display is a morass of buttons and knobs so expansive the mere sight of it would send today’s minimalism-obsessed auto designers into fits of rage. Below the center display is a morass of buttons and knobs so expansive the mere sight of it would send today’s minimalism-obsessed auto designers into fits of rage. But you know what? It all works. And more than that, it’s easy to figure out. It’s literally been years since I used this system and yet I can pick it up and make adjustments almost immediately. Because each of these buttons says what it does in capital letters, it’s refreshingly easy to figure out. When I want the radio info displayed on the center screen, I simply hit the button labeled “RADIO.” When it comes time to change the destination in the navigation, a jab of the “MAP” button pulls up the map. And once there, zooming in and out is as easy as twisting the big, central knob on the dash. I don’t need to squint at tiny icons and poke the screen to pull up the zoom controls. In some ways, the Pathfinder is like the Jitterbug of crossover crossovers. In another meaningful way, the Pathfinder is as old fashioned as a flip phone. While it has automatic emergency braking and adaptive cruise control, the list of active safety gear stops there. It’s the bare minimum of active safety equipment I’d accept for a new car. The competition, meanwhile, offers consumers a much more comprehensive suite of active safety systems, ranging from lane-keep assist with lane centering and automatic rear emergency braking, to pedestrian and cyclist detection systems and automatic high-beam LED headlights. That said, the Pathfinder’s gear does work well – the 2019 model earned an IIHS Top Safety Pick award – and it has a clever backseat reminder system. The competition also offers newer, plusher finishes. 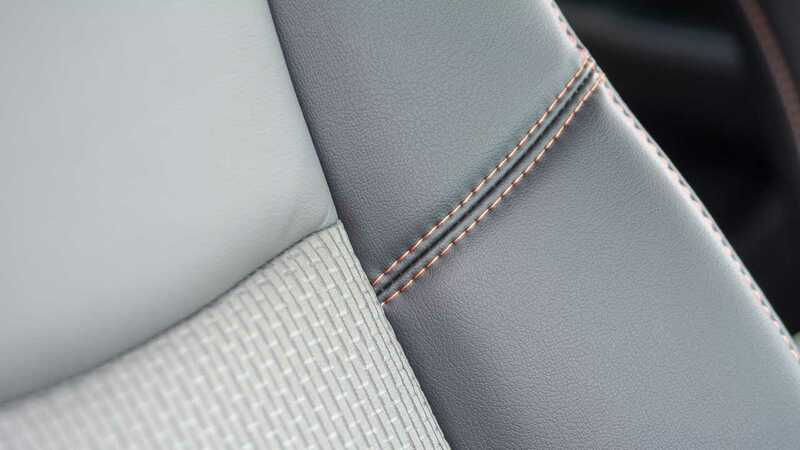 The Pathfinder Rock Creek Edition does wear unique seat upholstery (the gray, two-toned upholstery and the orange contrast stitching that keeps it attached to the seats is very pleasant to look at whether it’s the SV’s cloth/leatherette or the SL’s full leather setup), but the rest of the interior materials are showing their age. The glossy, faux-carbon plastic on the dash and door panels is especially poor, although the other plastics aren’t all that nice either. Like most Nissans, though, the Pathfinder features an extremely comfortable pair of front seats. The so-called Zero-Gravity seats offer up ample support and long-haul comfort, despite the modest level of adjustability. The passenger seat on my SV tester, for example, doesn’t even have power adjustments. The second row is a fine place to hang out, too, although I wouldn’t recommend the third row to full-size adults. Getting back there is easy, at least, thanks to the Pathfinder’s innovative sliding second row, which allows one-handed access to the back, even if there’s a child seat in place. The bigger reason to keep the third-row stowed is that it eats into the limited cargo space. Set it up as a two-rower and the Pathfinder’s 16.2-cubic-foot hold swells to an ample 47.4 cubes. Set it up as a two-rower and the Pathfinder’s 16.2-cubic-foot hold swells to an ample 47.4 cubes. Even though the Pathfinder’s cabin is a solid mid-pack contender, it suffers from the same ills as its mechanicals – everything feels old. 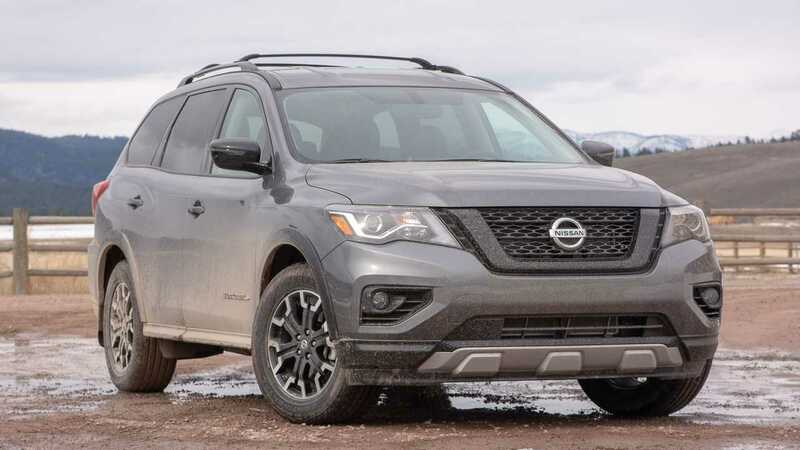 The Pathfinder’s 3.5-liter V6 engine and continuously variable transmission are a fine combination, but even a short drive reveals that Nissan’s newer CVTs exhibit more pleasant behavior than the old Pathfinder’s automatic. 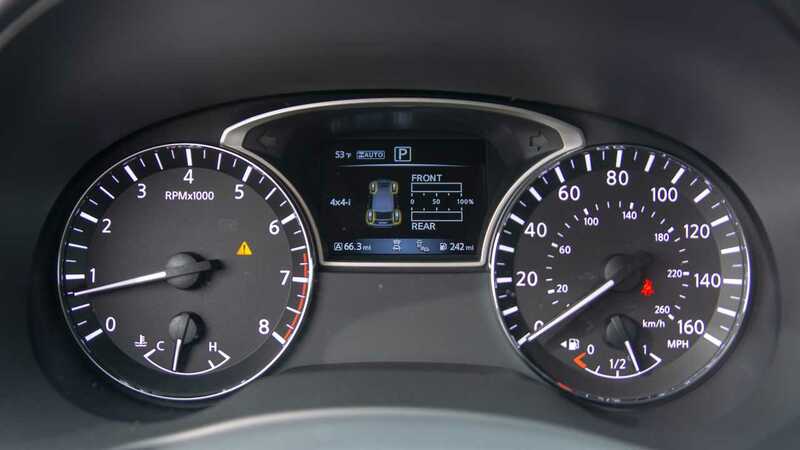 Unlike the new Altima, for example, the Pathfinder’s CVT shows the rubber-band-like behavior that made old belt-driven transmissions so unlikable. The 3.5-liter V6, though, is still a charmer and it benefits from the relative lack of turbocharged engines in this segment. Low-end power is adequate for a naturally aspirated engine, even though all 259 pound-feet of torque waits until 4,800 rpm to arrive. The 284 horsepower on offer is ample and roughly equal to the competition from Toyota, Honda, and others. Like those vehicles, the Pathfinder has enough gusto not to feel anemic, but not so much as to compromise fuel economy (like the standard Pathfinder SV, the Rock Creek Edition returns an EPA-estimated 19 miles per gallon city, 26 highway, and 22 combined with all-wheel drive). Also charming, the Pathfinder’s composed ride. This is by no means a Mazda CX-9 or even a Honda Pilot (both of those three-rowers are far more engaging and enjoyable to drive) but it is comfortable. Bounding down the dirt roads that litter rural Montana, the Pathfinder impresses with its composure. It shakes off bumps and ripples, and is even quiet enough that I’m able to carry on a relaxed conversation with my co-driver. Credit Nissan’s restraint with the Pathfinder’s wheels and tires – every Rock Creek Edition wears 18-inchers on 235/65 rubber. But the Pathfinder Rock Creek loses me with its price. 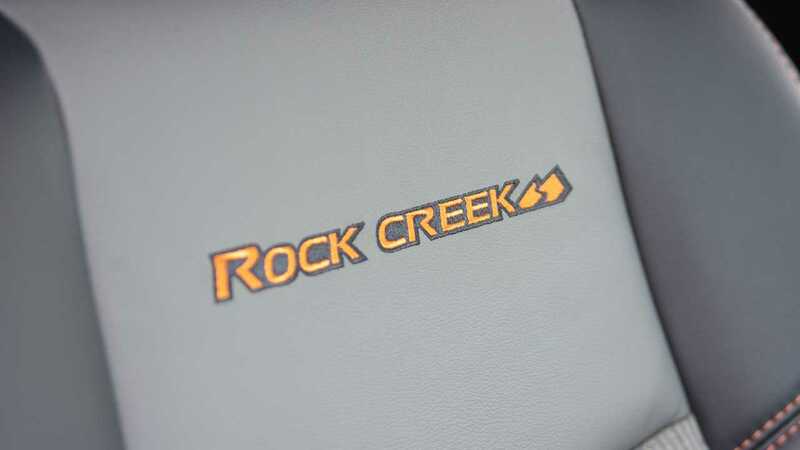 My all-wheel-drive Pathfinder SV Rock Creek starts at $36,955, and then adds the must-have Technology Package, a $980 suite that features navigation, heated front seats, a heated steering wheel, satellite radio, and Nissan’s connected services. Tack on the $1,045 destination charge, and this aged three-rower costs $38,980. Go for the SL, and the out-the-door price is $41,650 before adding the sole option: a $2,110 package that features a 13-speaker Bose audio system and a panoramic sunroof. No matter what version of the Rock Creek Edition you order, it’s going to cost more than a seven-year-old crossover design should. No matter what version of the Rock Creek Edition you order, it’s going to cost more than a seven-year-old crossover design should. This segment is too competitive, has too much choice, and most importantly for family buyers, too much available safety technology to make the Pathfinder a smart choice at this price. Consider this: both the Subaru Ascent and the Honda Pilot are available with their entire host of active safety technology (lane-departure warning, lane-keeping assist, blind-spot monitoring, automatic high beams, and LED headlights, in addition to the automatic emergency braking and adaptive cruise control available on the Nissan) for the around the same $39,000 as my Pathfinder SV. While the Pathfinder will surely resonate with a specific set of screen-averse consumers, the simple reality is the competition is better in most ways and for the same amount of money. But there’s cause for optimism. Nissan’s latest vehicles are excellent and manage to balance technology with usability, all while offering impressively advanced active safety systems, the critically acclaimed ProPilot system. The Pathfinder may not be competitive in its current form, but I’d bet that won’t be the case for too long.